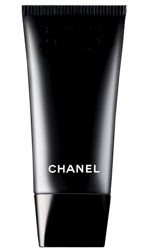 I have been using Chanel's foundation for quite a while now. I started out with the one that came in a tube and that cost $40. I wasn't too thrilled about the price but I figured that I was using a top-of-the-line product, something "too big to fail" (just like B&S...), so I was getting my money's worth. Every time I ran out of it, I always felt guilty going to the store and shelling out the $40. But I did it. Last time I went to the store the pretty boy behind the counter informed me that they didn't carry the tube but only the bottle. "Hmm... How much is the bottle?" $52. A big smile from behind the counter pierced right through my wallet. Hmm... Ok... I'll take it. I had nothing left in the tube at home, so I had to buy it. But imagine how I felt. For a foundation that wasn't anything spectacular, really. So on my next trip to the local drugstore, I did something I hadn't done in a while: I browsed the makeup section. I started looking at the different brands and I took a trip down memory lane, when, in my teens, I used to think that Revlon was one of the best brands out there (today I wouldn't buy their stock, even if it's under $1! funny isn't it?). 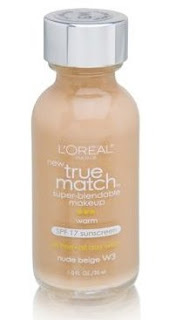 I also remembered reading a couple of decent reviews about True Match by L'Oreal, and how it can very closely match your skin color. More out of curiosity than real interest, I decided to check it out. There is a color chart (shade finder) next to the foundations that helps you pick the right color for you. You grab the chart, and bring it close to your wrist. Since the chart is made of transparent plastic, when you get it close to your wrist, the shade that best matches your own magically disappears! That's how you know which shade to buy. So I took the test and found my true match. 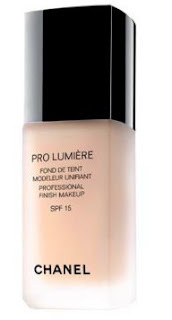 Was I going to buy the foundation and test the validity of the shade finder? But of course! The cost of my truth quest? About $10. Finding out that it was also on sale at 50% off? Priceless. I paid the $5 and took my true match home! And I am happy to report that I've been using it since. The shade is the closest shade I've ever had a foundation match my skin! The texture and feel are very close to Chanel's. I've used true match for about two weeks before posting about it to see if maybe I was going to break out because of it, but I am happy to report that no adverse reaction has occurred. I don't know if I have willed myself into liking this product out of frugality (I doubt it: if I could do that I wouldn't spend so much money on other things neither), but the truth might just be that it is still possible to find happiness for under $6! I am so glad you found a similar product for much less. I have always questioned products at exhorbitant prices when other brands can be found with similar effectiveness. I will try the Revelon brand if I can find it. I have used the foundation and powder/foundation in one from The Body Shop for sometime. The Body Shop foundation is a bit thick. I feel a sucessful application of makeup is the most natural looking one, where one looks as she is wearing very little makeup. I have also used their lipsticks. (The kind that is shimmery, which I must tone down). Overall I find them to be satisfactory. Good luck to all of us fashionistas or just those who would like to dress stylish while remain true to ourselves. I like The Body Shop. Right now I'm wearing their eye shadows. Your wrist? I'm surprised that it matched because your wrist is usually 1-2 shades lighter than your face and you see every vein and discoloration on your wrist. Try the side of your jawline.. a much better color match. I always use the wrist to see how well a foundation covers. well, maybe the shade finder takes that into consideration, meaning the foundation is a bit darker than the sample that matches your wrist. Also, I think it's harder for a woman at the store to check a product against the jawline (a much easier job if someone else does it for you), while if you are alone, the wrist is more accessible. You know which brand is a really good one as well? Lancome! I've tried the foundation and thought it was really good. Lancome and Loreal are owned by the same people! I love my Lumiere and yes i pay 52$ per bottle. however will nt change.. i have recently started working in beauty industry and i just say that there is a reason some things are more expensive then others.. think about the amount of actual R&D that goes into developing a product..